First things first, come up with a design. It may sound simple, but sometimes even the most basic designs are a bit of a hassle to come up with. Gordon the GeekOut Goat has become a bit of a running meme for the social group side of us, so therefore putting him on a poster seemed logical. 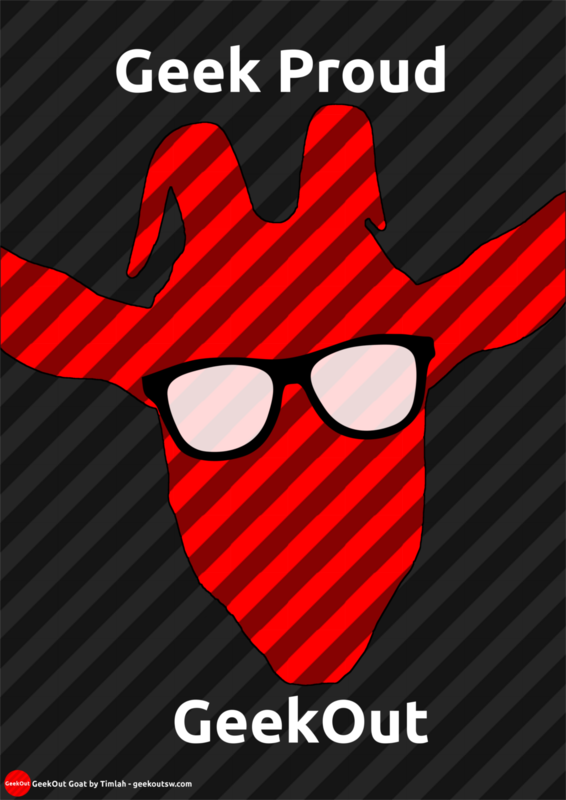 My first design was simply a blank red, striped goat head template, with the signature black/grey background – And with a pair of glasses. It had that little bit of geekiness, whilst being completely recognisable at us, as GeekOut. That design went through various iterations, many were terrible. One of the hardest designs I worked on was also my least popular – My Nightmare design for Halloween 2016. I personally enjoyed making this one, where I basically worked with an existing image, traced the horse and turned it into a nightmare, before adding all the extras myself. It wasn’t a particularly pretty poster, but it wasn’t supposed to be. I think we’ve still got one or two of these knocking around! I’ve got a default template on how I do my posters now, which allows me to design at the full A3 size that we print our posters at. The software I use is GIMP and honestly, you don’t need anything more expensive than GIMP – and did I mention GIMP costs nothing? – to create posters. It also uses 300 x 300 DPI, which is a resolution required for most poster printers. For it to come out at a good quality, you’re going to need to have some large file sized posters which you send to them. Honestly, save yourself the headache and design it at the correct physical size, as well as the correct resolution size. DPI stands for Dots Per Inch, basically how many pixels can be placed per inch. This is important, as ultimately when a printer prints on paper, those dots are blown up and it’ll come out either blurry or pixelated at the wrong DPI. Naturally, once the posters have been designed, they go off to a printer to be printed and shipped to me. I have always stuck with the same supplier, who I have nothing but great respect for. They’re a small company called Pixel2Print, so if you’re looking for a good deal on posters, they’re amongst the best. 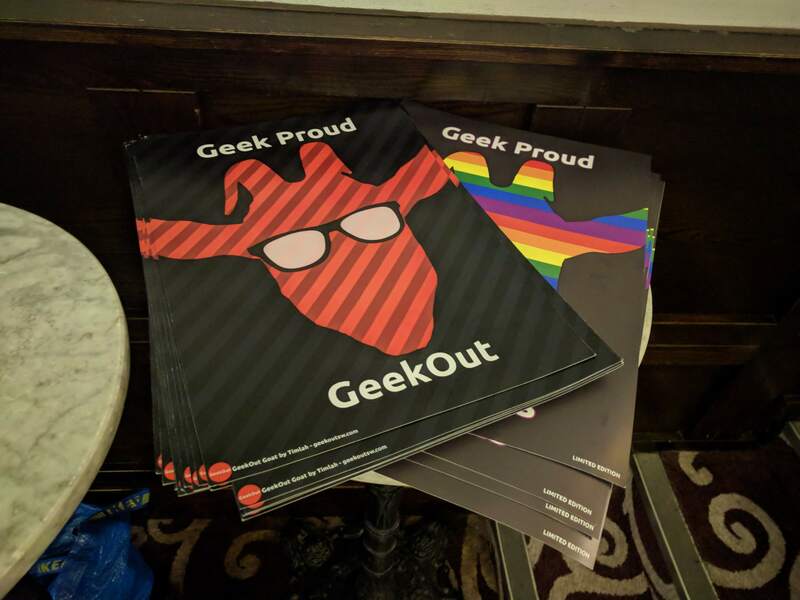 They’re cheap, they’ve got excellent quality and will even call you if they are experiencing an issue with printing your exact specifications, as was the issue with the most recent GeekOut Pride poster (the colours were too fabulous to be printed properly!) I would usually buy them in smaller batches, but I did buy the classic design as 250 of them, which cost me approximately £50 at the time. For 250 posters, trust me, it was a really good figure – And I’ve also bought in batches as low as 25 posters, for less than a tenner! We’ve nearly gotten through all of our ‘classic’ design posters though, so that’s cool. They’re now displayed in public places, as well as wherever else people put them, so I’m glad people enjoy them! Once I supply them with the rather sizable file, they then go off and print them for me. It’s then a waiting game for just a few days, as they print and ship them. I remember when I got my first ever batch of posters. I was so impressed with how good they looked for real, plus the paper stock is amazing. It feels heavy duty, so when displaying, they can be framed, or they can be left as are on a wall and they don’t really crinkle up. Now, for such a heavy paper stock, it does come with some disadvantages – For instance; If you fold them fully, they start to tear. However, I believe in quality, which the stock provided is truly good quality. If you’ve never seen one of our posters, they are almost like card! On the new website, we’ll be offering everyone online a chance to view and purchase one of the posters, should they want to. 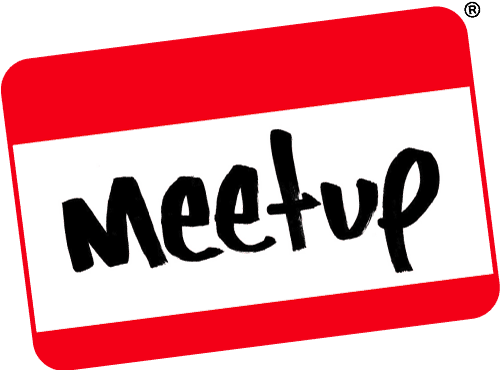 For now, it’s one of the many things we give away during our meetup events. Sometimes, I will donate a large amount of them to Joel, as he seems to be doing well with them too. People in Shrewsbury, don’t worry, we’ve got your back! All in all, we’re looking to push what we can do as a group, to see exactly how far we can take this. But I digress, I think it’s over to you now – Do you like the looks of our posters? Would you buy one of our posters once we open our eShop? What other merchandise should we work on? Share your thoughts below, or over on Facebook and Twitter. This entry was posted on October 5, 2018 by Timlah. It was filed under GeekOut discussion, Technology and was tagged with Buying Posters from Printers, Design, Designing Posters, GIMP, GIMP Design, Pixel2Print, Poster, Printing Posters, Understanding DPI for Posters.